May 22, 2012 ~ Today we remember and commemorate all those American heroes who gave their lives in the cause of freedom. It is easy to forget, as we immerse ourselves in our daily lives, that millions of lives have been forever changed because loved ones, friends, have died to defend America's freedom. For those of us of Italian descent it is especially important to remember that more that 1.5 million Italian Americans served in World War II - thousands of them died to liberate Italy. All Italians and Italian Americans have much to be grateful for today on this Memorial Day. We at Ciao!America offer our deepest gratitude to America's fallen heroes. 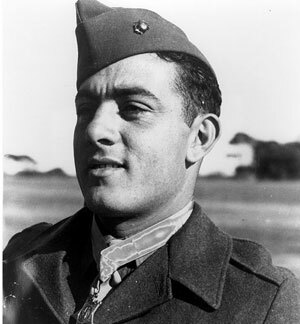 Luigi Palma di Cesnola, the first Italian American to receive the U.S. Congressional Medal of Honor. He was a Union general in the Civil War, and later became the first director of the Metropolitan Museum of Art in New York City.